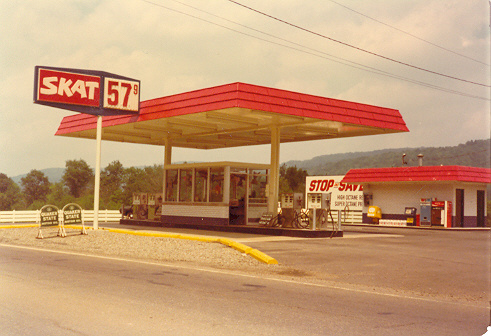 This Skat station was located south of Bradford, PA on US 219. Photo was taken July 15, 1976 by Walt Wimer. taken over by United Refining Co. in the early 1970s. The stations were rebranded to Kwik Fill in 1985-1986. There are no more Skat stations remaining today. Photo and text donated by Walt Wimer, Feb. 15, 2003.